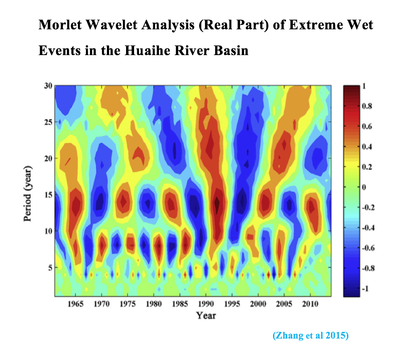 Estimates of decadal climate predictability from the state-of-the-art coupled climate models; the impact of the internal atmospheric noise in climate variability and predictability; atmosphere-ocean coupling and how a coupled eddy-resolving ocean component model affects climate prediction. 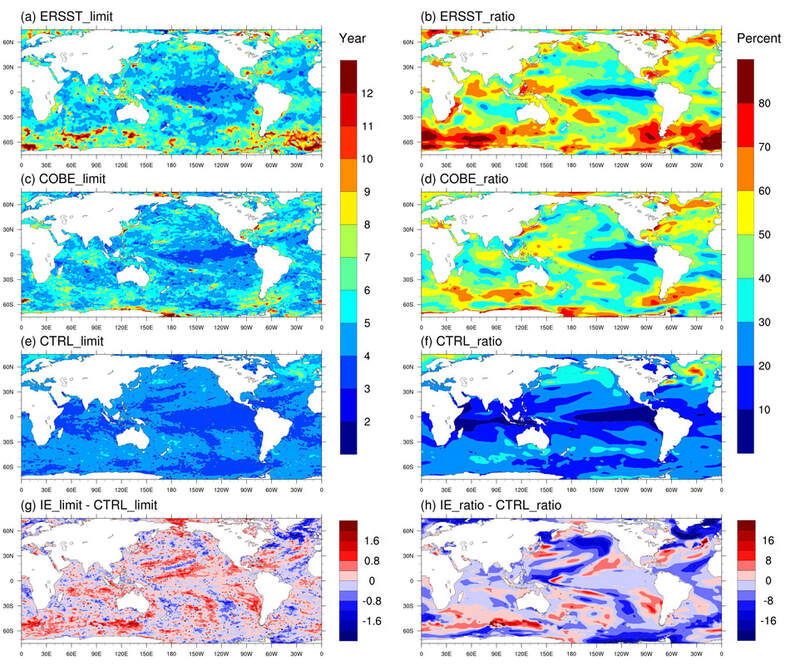 Spatial distributions of decadal SST predictability using the NLLE method and decadal timescale ratio: (a, b) ERSST.v3b, (c, d) COBE-SST2, (e, f) CCSM4 CTRL and IE (Interactive Ensemble) Simulations, (g, h) differences between IE and CTRL simulations. Zhang, W., Kirtman, B.P. 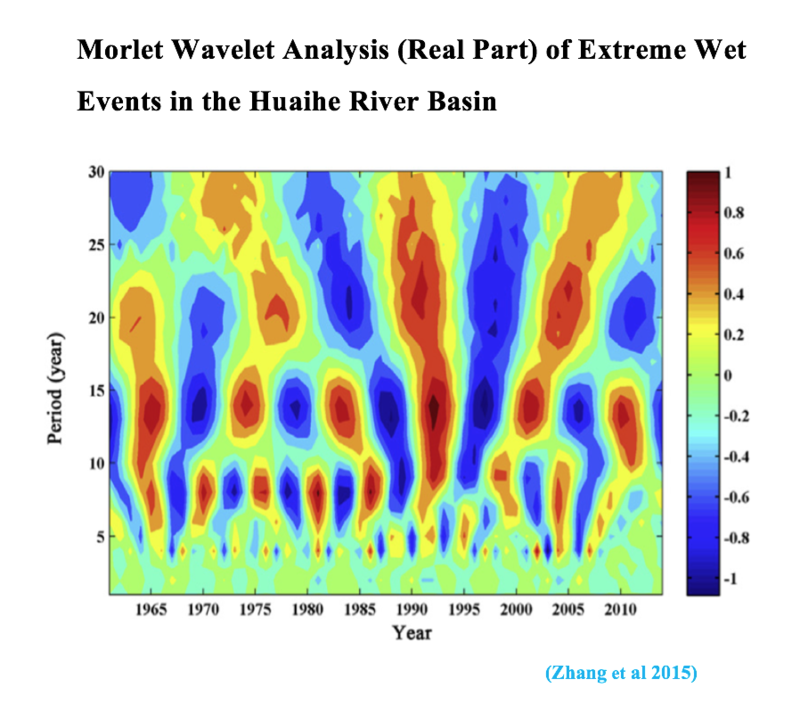 Estimates of decadal climate predictability from an interactive ensemble coupled model. 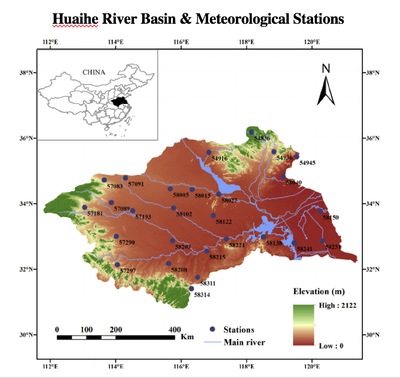 Geophysical Research Letters (in review). Zhang, W.,Kirtman, B.P. Understanding the signal-to-noise paradox with a simple Markov model. 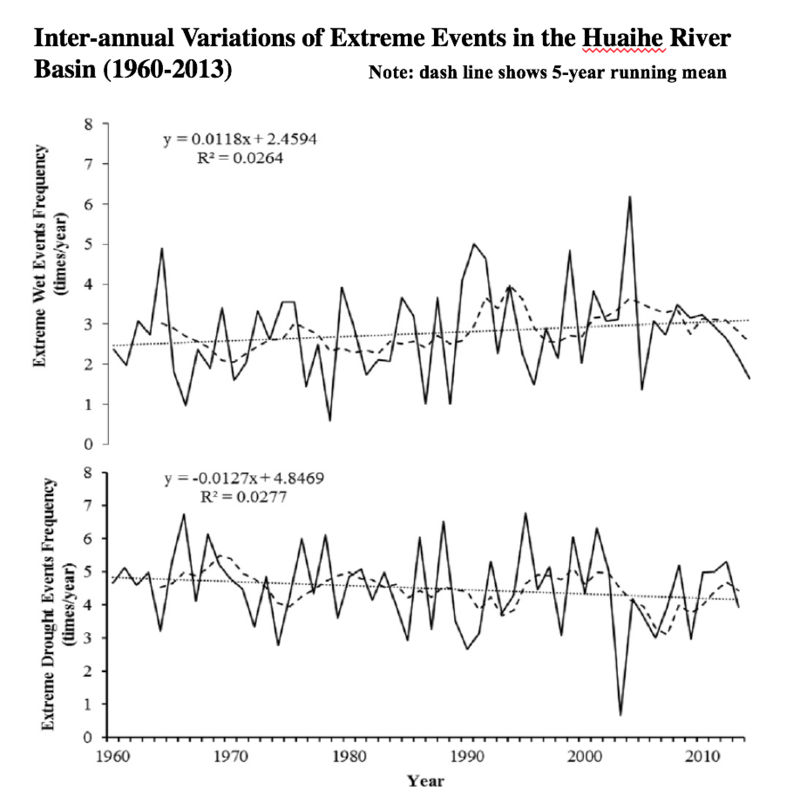 Geophysical Research Letters (in review). 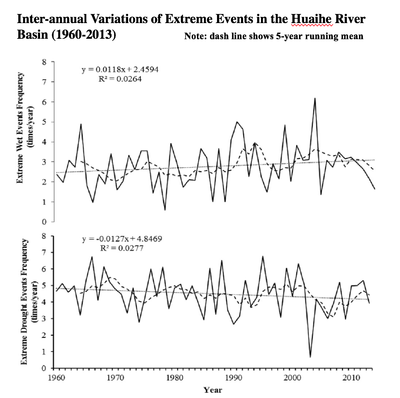 Recently, climate extremes have become one of the most significant and attractive themes in climate science, and global warming has been shown to trigger and exacerbate intense precipitation events, contributing to disastrous damages to natural and human systems. The main purpose of our research is to investigate the change of extreme drought/wet events during the past several decades in the context of global warming. Soil erosion is a serious environmental problem closely associated with sustainable development and ultimately the survival of mankind. Cs-137, a unique artificial radioactive tracer, has been widely applied to the study of soil erosion and deposition since the 1960s. 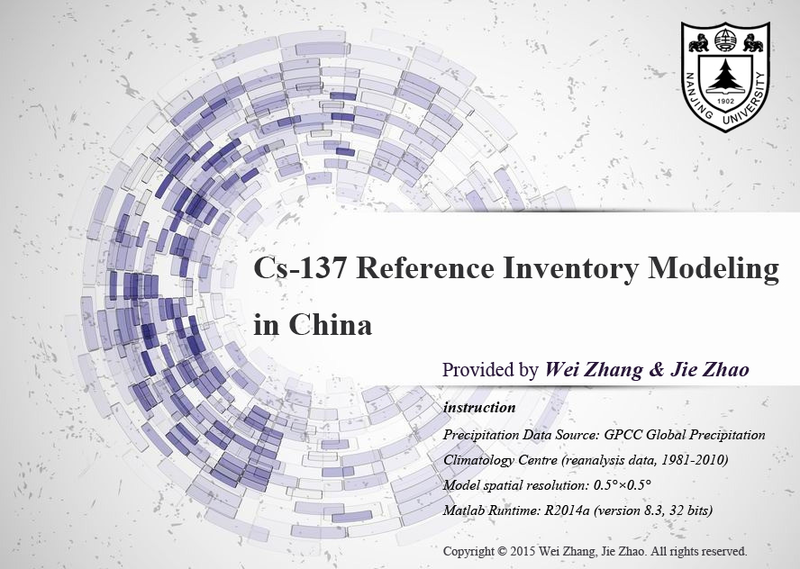 One of the prerequisites of soil erosion study is to estimate Cs-137 reference inventory (CRI). 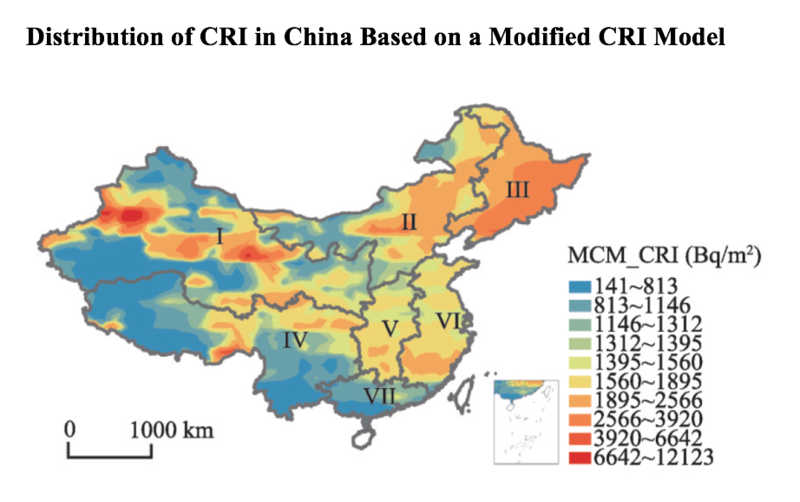 The creative part of my research is that I built a Modified CRI Model in China, which can help calculate CRI for areas with no Cs-137 atmospheric fallout records.